Surrey offers a unique diversity of urban amenities and spacious countryside. 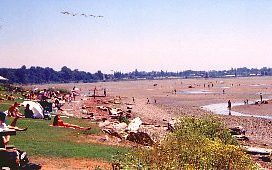 Parks, beaches, cowboys, shopping, history, arts and culture; Surrey, British Columbia, has something to offer everyone. With over 600 parks and green belts, there is plenty of space to walk, cycle, explore or swim. The Surrey Art Centre provides a opportunities to view local arts and theatre. The excitement of the nearby Cloverdale Rodeo takes you back in time to cowboys and bucking broncs! The many shopping opportunities from large mall to small antique shops make Surrey a haven for the avid shopper. The mild year round climate makes the city ideal for everyone whether they enjoy indoor or outdoor activities. 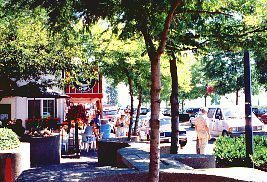 Accommodations: Surrey offers a wide range of tourist services, hotels and motels plus RV parks and campgrounds. Access: Surrey is 40 km (25 mi.) east of Vancouver on Highway 99A. The nearest airport is the Vancouver International Airport in Richmond. The area is serviced by local and national buslines. Recreation Facilities & Activities: Surrey has over 600 parks and greenbelts, bird watching, nature walks and over 210 kms (130 miles) of signed, bicycle friendly routes. Golf courses, aquatic centres, tennis courts, baseball diamonds, soccer fields, parks, wave pool, Crescent Beach. Outdoor activities range from corn mazes to farmers� markets and from trout fishing to ocean kayaking. There is plenty of opportunity to get away from it all for a little fresh air recreation. Enjoy the arts & culture on display at the newly built Surrey Museum. Surrey�s history and heritage, along with themed exhibits throughout the year, are always at your fingertips. Attend a concert at the Bell Performing Arts Centre or experience an art show at the Surrey Arts Centre. The Cloverdale rodeo is on the May long weekend. The Surrey Visitor Centre and Tourism Surrey head office is located in South Surrey at 176th Street and 8th Avenue near the Pacific Border Crossing and beside the Campbell River store. There is plenty of parking for all visitors including tour buses and RV's. The friendly and knowledgeable Tourism Counsellors are happy to assist you with accommodation reservations, travel planning, and are experts on things to do and see in Surrey as well as throughout the Province of British Columbia. They offer discounted tour and attraction tickets, free accommodation booking, area maps and information, free regional and provincial visitor guides, souvenirs, Provincial Park parking passes and BC Ferry tickets and Sail Passes. The visitor centre is open 9-5 daily.